Nourishing for veins and capillaries. 100% naturale. 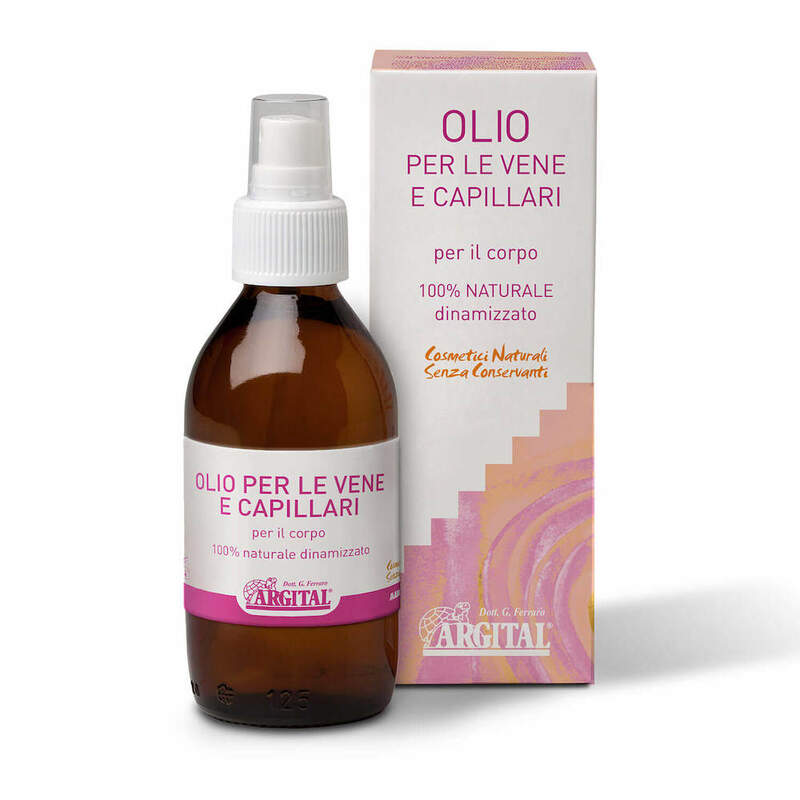 Oil for Veins and Capillaries with pure Olive, Sweet Almond, Sunflower, Wheatgerm and Jojoba vegetable ois, and pure essential oils of Thuja, Cypress, Peppermint and Geranium, is particulary recommended for the treatment of varicose veins and capillaries. The essential oils have an astringent effect, and are refreshing, regenerating and toning on the veins and capillaries. The vegetable ois, naturally rich in vitamin E, nourish the tissues and give the skin elasticity, promoting toned, smooth and silky skin. Natural Vitamin A strengthens and protects the veins and capillaries. The combined action of all these ingredients together helps to restore veins and capillaries to their normal condition. Preservatives-free. Ingredients: Olea Europaea Fruit Oil, Prunus Amygdalus Dulcis Oil, Thuja Occidentalis Oil*, Cupressus Sempervirens Oil*, Triticum Vulgare Germ Oil, Simmondsia Chinensis Oil, Mentha Piperita Oil*, Daucus Carota Oil, Helianthus Annuus Seed Oil, Pelargonium Graveolens Oil*, Tocopherol. DIRECTIONS FOR USE : Using the spray nozzle, apply a generous amount of Oil for Veins and Capillaries onto the palm of the hand and massage into the body using using small circular movements in a clockwise direction until completely absorbed. For best results, it is recommended to use after a bath or shower, when the skin is warm and the pores are more dilated.